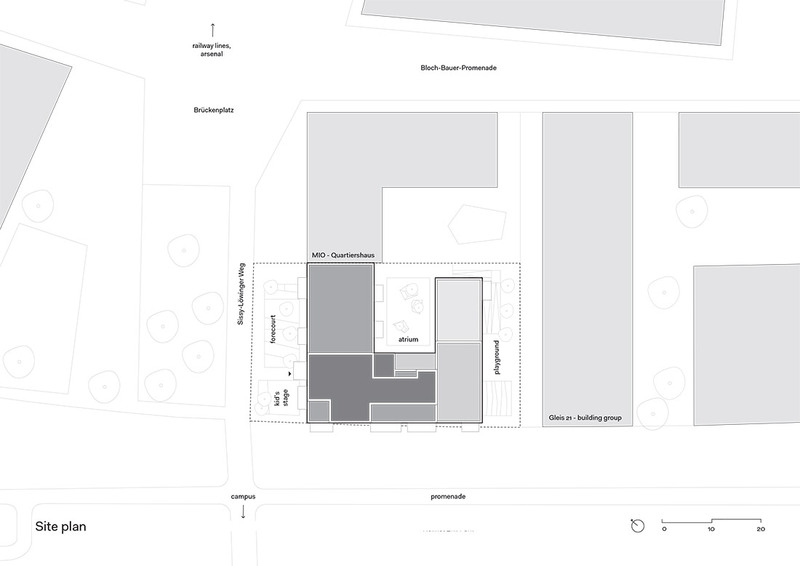 The building illustrates its prominent urban location at Helmut-Zilk-Park via a highpoint on its corner. 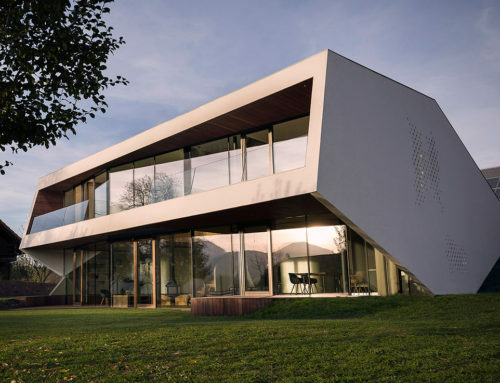 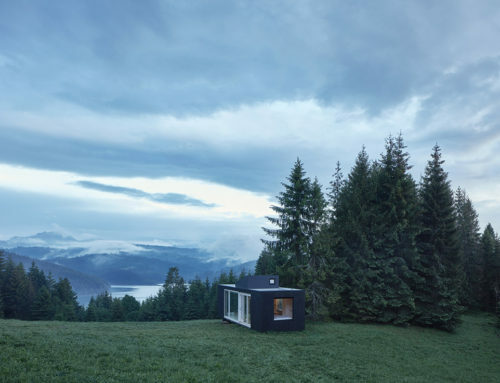 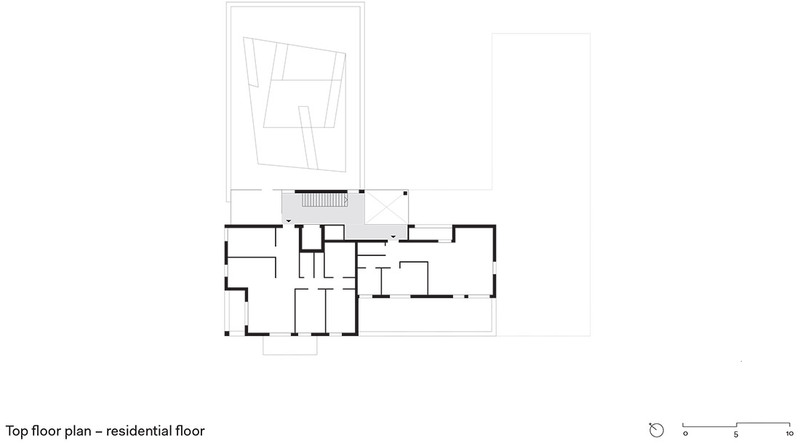 This staggered height awards the house a significant appearance whilst simultaneously optimising the incidence of light to neighbouring buildings as well as its own atrium. 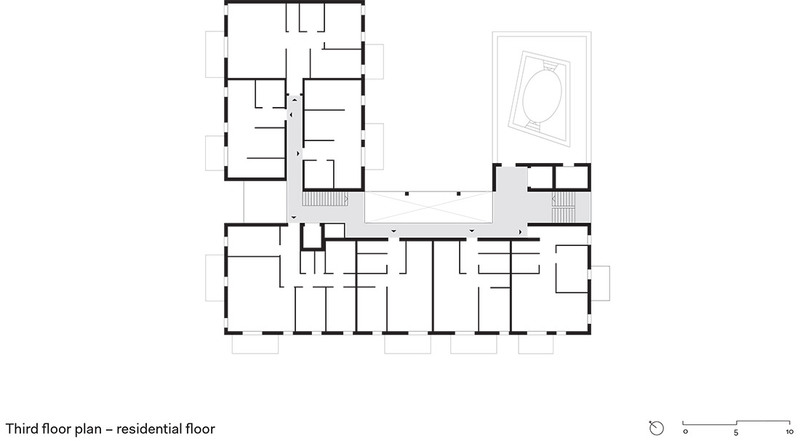 Typologically, the building incorporates the characteristics of the old town houses which allow for a variety of uses. 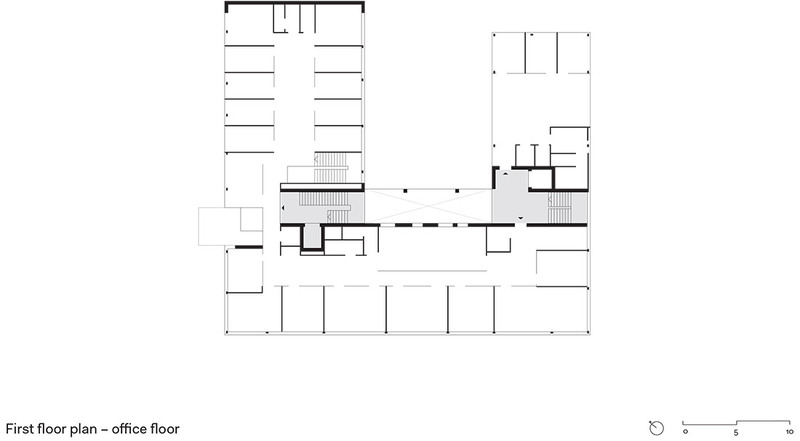 The deliberately public ground floor – housing a dance studio – and the level of offices directly above form a common base. 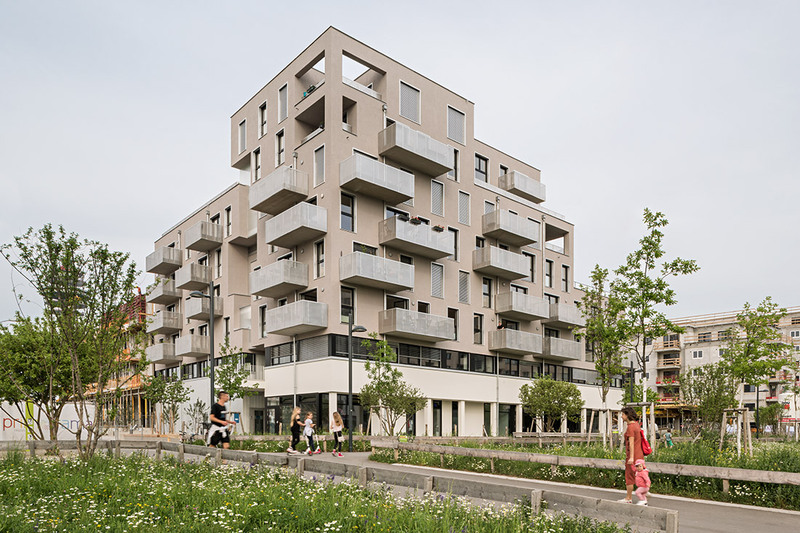 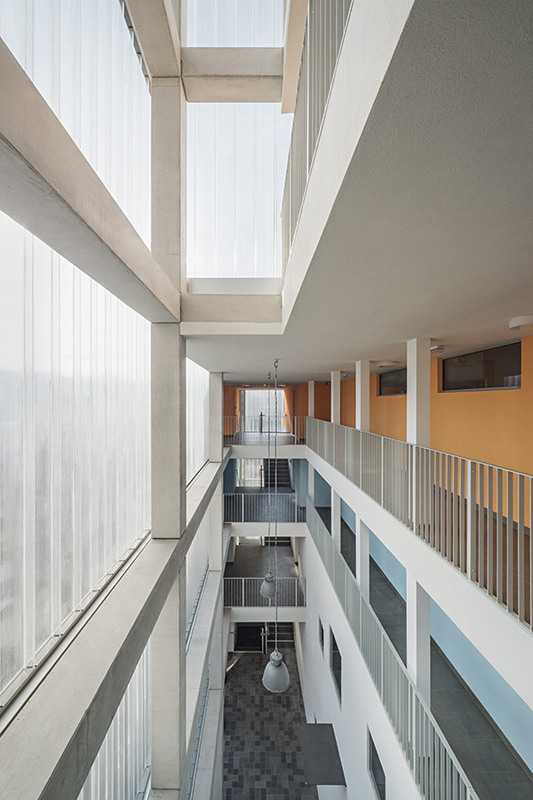 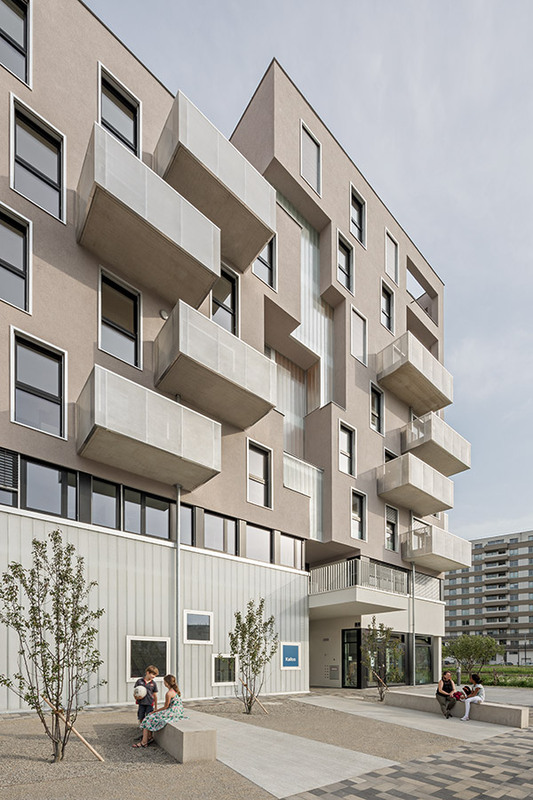 The four to six residential floors above are interconnected through the so-called Proszenium – the “little stage” – which forms the spine of the building and combines the naturally illuminated circulation space with vertically arranged common rooms. 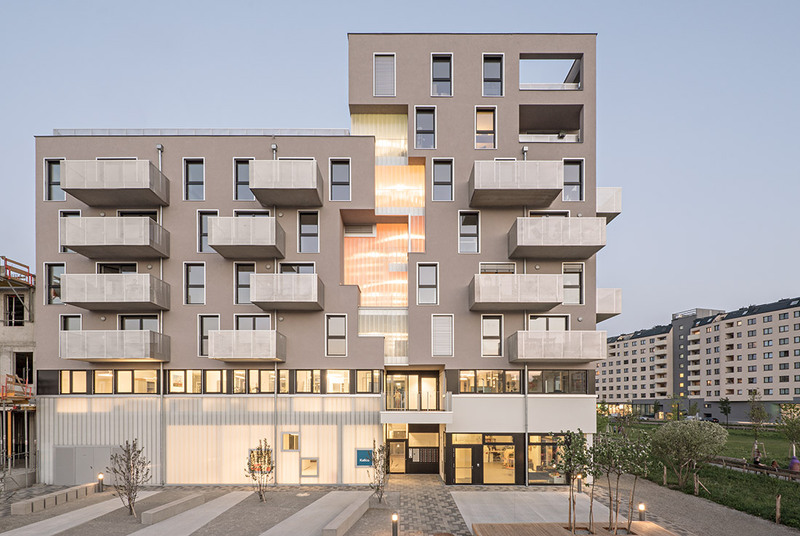 A lively roofscape crowns the building, with different terraces for communal and private use. 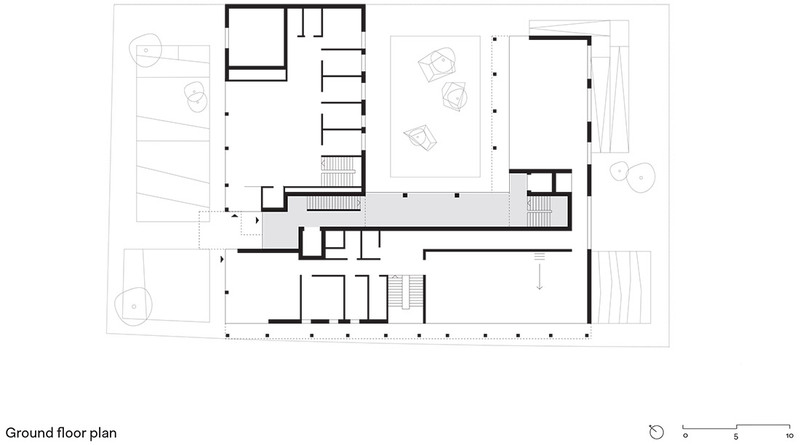 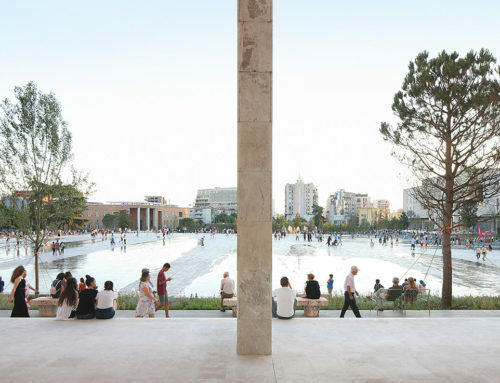 – Active Integration of its surrounding: a public ground floor (with a dance studio), fluid transitions of public and semi-public spaces and open boundaries to the immediate neighbourhood. 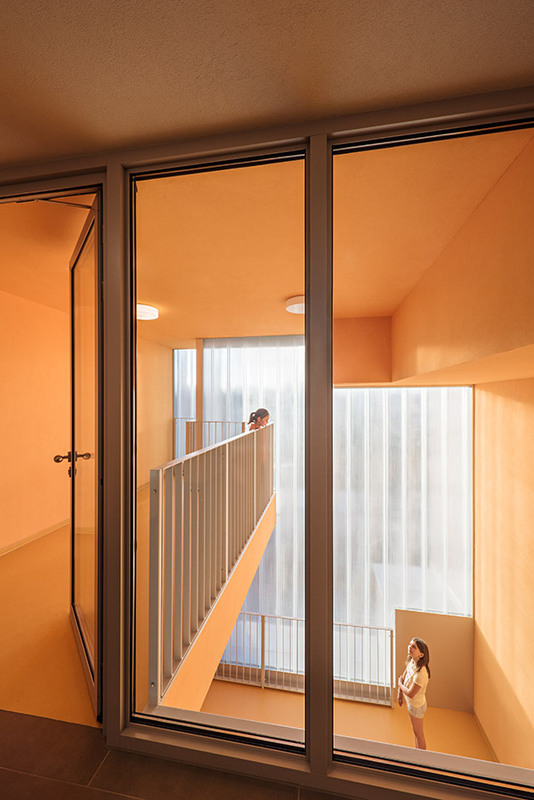 – Spaces for encounters: a vertical space runs as a striking fugue through the façade and combines the naturally illuminated circulation with common rooms. 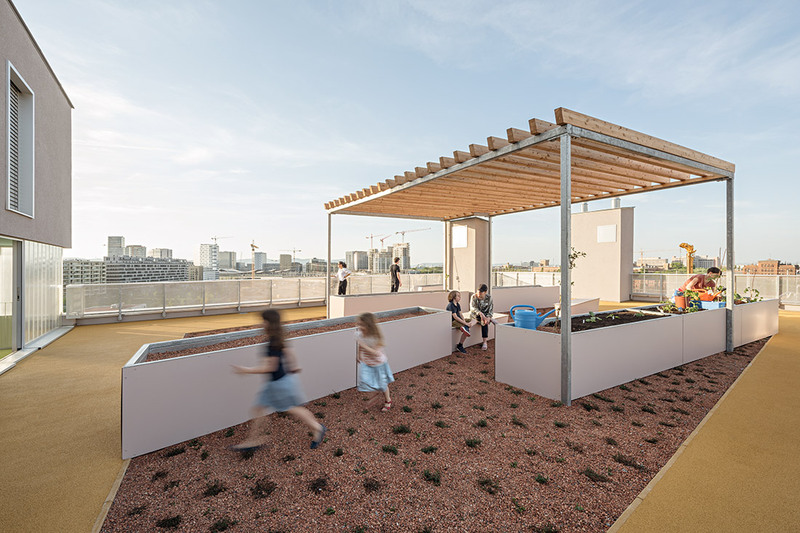 – Diverse free spaces: the forecourt as a barrier-free meeting zone, a calm atrium for recreation, an active playground and a roofscape with various communal and private terraces.